The long-awaited successor to the popular Nokia E71 is finally here. 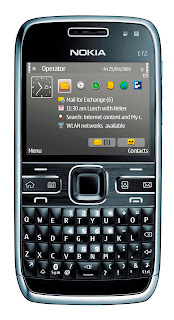 The Nokia E72 is commercially available in Malaysia at the following recommended retail price of RM1,670. You can now take your conversation further with Nokia E72. Boasting an entire host of upgraded features for easy convenience and fast efficiency, the Nokia E72 is perfect for those who are constantly on the go. What’s more, the sleek and contemporary design is home to a messaging powerhouse that supports instant messaging (IM) accounts (such as Windows Live Messenger, Yahoo! Messenger, Google Talk and Ovi, amongst many others) provided by Nokia Messaging direct from the homescreen for the first time. 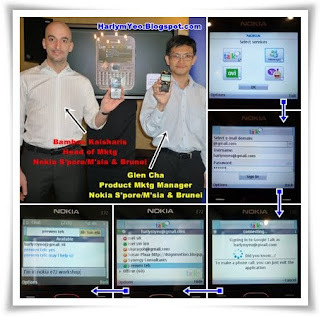 With Nokia Messaging, email junkies will relish the instant access to multiple personal mail accounts such as Gmail, Yahoo! Mail, Windows Live Mail, Ovi Mail, e.t.c directly on the Nokia E72. Of course for work emails, there are Microsoft Mail for Exchange and IBM Lotus Notes Traveler. With the convenience and connectivity that comes with the built-in 3.5G and Wi-Fi, also comes performance and efficiency with the optical navigation key that makes scrolling through emails a breeze. The Nokia E72 also features a fully integrated QWERTY keypad and a clear QVGA display that maximizes performance – all this, on the go! And finally, as the saying goes: work hard, play hard. The Nokia E72 definitely has not forgotten this with its entertainment features that include 37.5 hours of music playback time and up to 16GB of storage space for music, images and various apps that can be downloaded from the Ovi Store. And if that entertainment isn’t enough for thrill-seekers, take the Nokia E72 on a joy ride to discover exciting new places with the built-in Assisted –GPS receiver and Nokia Maps application. The E72 will be available in three colours: Zodium black, Topaz brown and Metal grey.